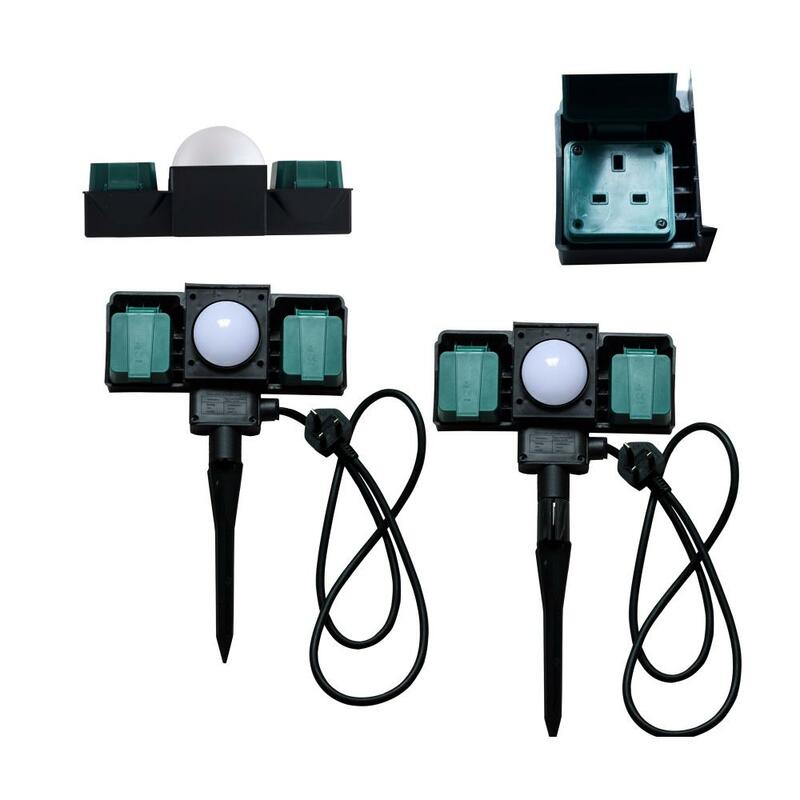 2 Way Outdoor Garden Plug Sockets has a waterproof level of IP54, it is ideal for outdoor power tools, mowing, sprinklers, TV/Radio, decorative lights, pond pumps etc. There are 2m, 5m, 10m rubber power cable for you choose. 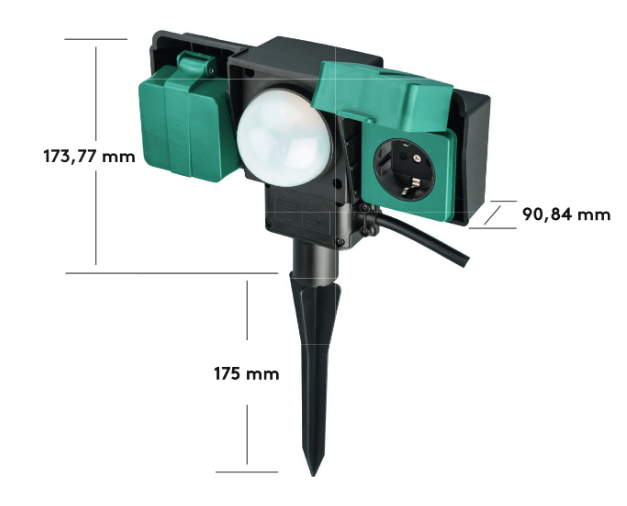 Suitable for BS 13Amp plugs spike for fixing in ground. 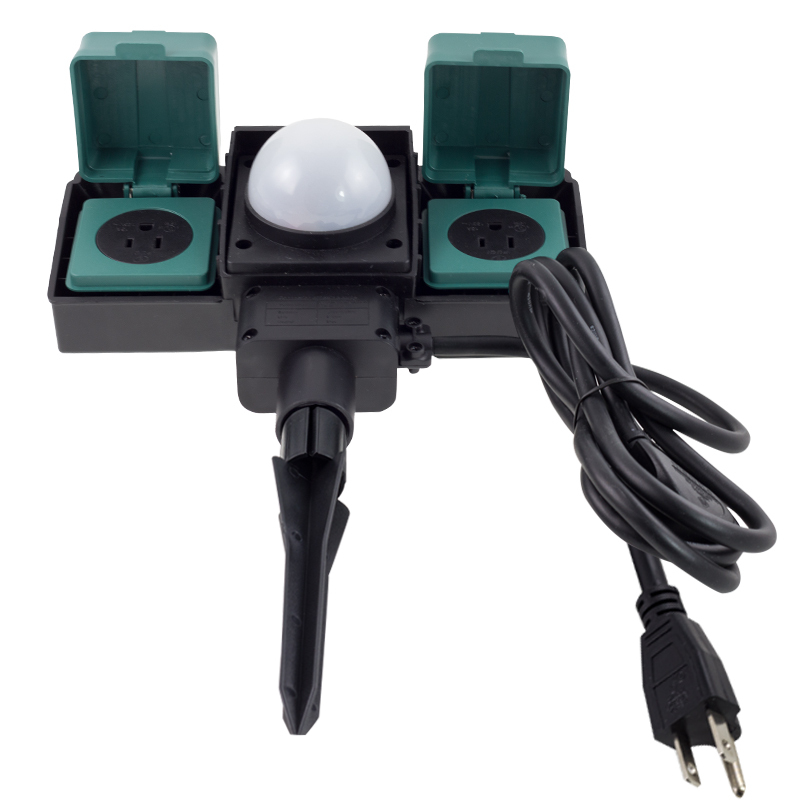 The main selling point of this product is that at dawn the sockets have no AC voltage output, while at dusk the AC output will activate. · This product contains 2 built-in sockets. If you are only using one socket the rated current can reach 10A, with a max. current of 16A, but reaching 16A for extended periods of time can damage the socket and internal components, therefore must be avoided. · If you use 2 sockets at a time the max. current should not exceed 16A. 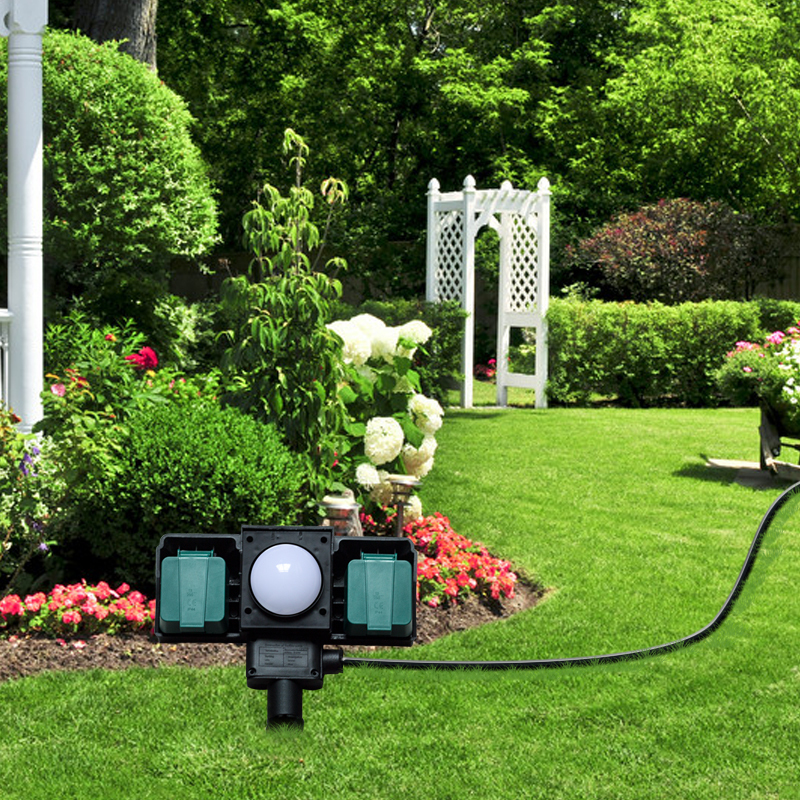 Looking for ideal Outdoor Garden Sockets with 2m Cable Manufacturer & supplier ? We have a wide selection at great prices to help you get creative. 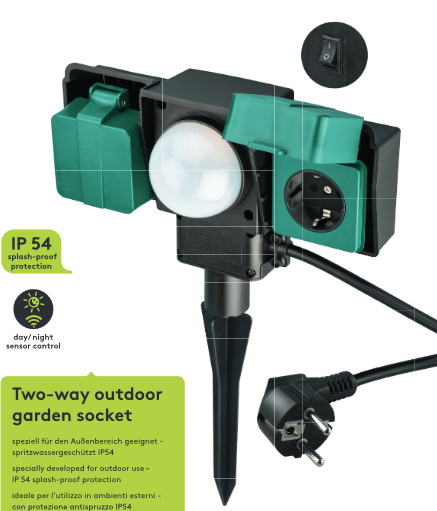 All the Outdoor Garden Sockets with 5m Cable are quality guaranteed. 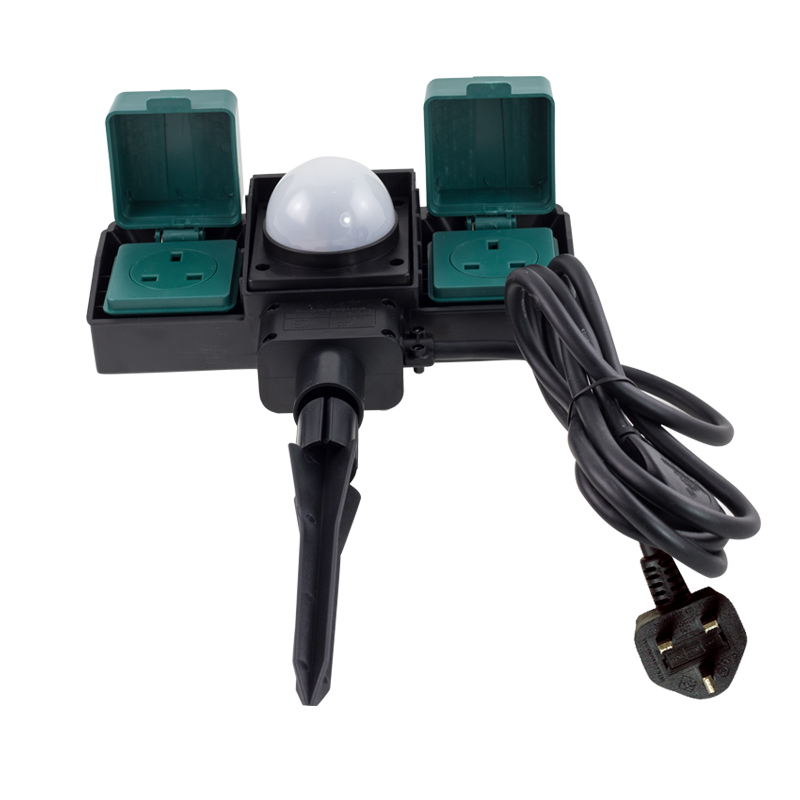 We are China Origin Factory of Outdoor Garden Sockets with 10m Cable. If you have any question, please feel free to contact us.